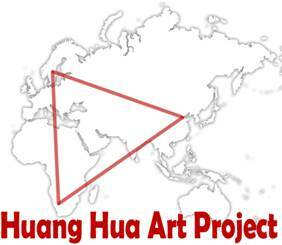 A Swedish artist and a Namibian artist work and live side by side in the Huang Hua Art Studio in Beijing, China for three weeks. This project explores the differences and similarities of different cultures, continents, artists, genders and generations. One, Imke Rust, from Africa, Namibia, 33 years, female; the other, Torsten Jurell, from Europe, Sweden, 57 years, Male, spent three weeks in an artist village in a foreign Asian country. Besides working side by side on their art, they also have to find their way through everyday life in China – where they are unfamiliar with the language and culture. 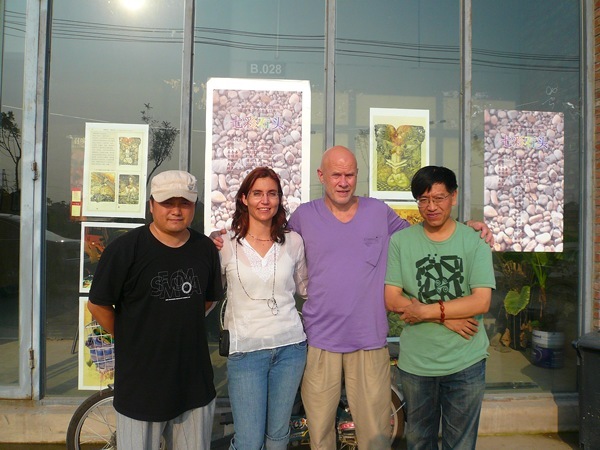 Shopping for art materials, catching a taxi to exhibition openings and buying food become part of the artistic experiences and adventures, which raise the artists’ awareness about the Chinese culture in a very personal and direct way. Their impressions and experiences, influence their artworks, working methods and materials and give rise to many discussions about art, politics, culture and humanity in general. Many questions arise: how can bridges between nations be build? How can we find common ground for people of different nations to live and work together in harmony? What is the role of language and written communication in understanding each other? Is art a kind of universal language understood by all?